As the shortage of honey bees worsens, California growers increasingly rely on bees from Arizona for pollination. On the drive through northern California near Bakersfield, Fresno and Chowchilla the highway is surrounded by vibrant flowering almond trees. You can’t miss the white wooden boxes places along random areas of each orchard, these are bee colonies that sustain the growth of the almonds. 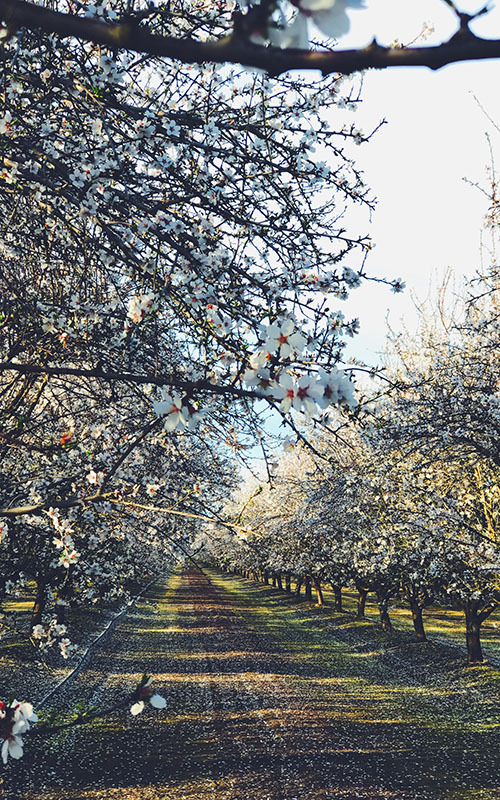 In total, almond tree orchards cover 1 million acres of land in the state. The pollination of the tree’s flowers is critical in order for almonds to be produced. Without the bees, almond trees would not bear fruit. Without the pollination by insects, about one-third of the crops we eat would have to be pollinated in other ways that are not as effective. Bee Informed, a partnership between researchers and agriculture, is studying the issue and using data from beekeepers to better understand the decline of bee colonies. Vicente Gonzalez, one of the largest beekeepers in Arizona, uses two large trucks to transport his bee colonies to Chowchilla, California. “The bees’ work begins here when the flower blooms and it ends when an almond is produced,” says Gonzalez. Six years ago, he began shipping roughly 900 colonies to a bee broker in California. 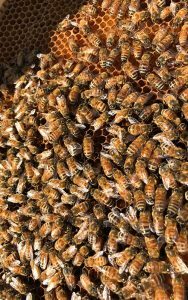 Broker, Ryan Cosyns, connects bee colonies with the farmers that need them. And Cosyns inspects the colonies to make sure the bees are healthy and in working condition. Brokers make sure the farmer’s need is met, while paying beekeepers like Gonzalez for each colony he rents. This year, Gonzalez shipped 5,768 boxes, or bee colonies, to California. Beekeepers are in high demand, and Gonzalez has expanded his business exponentially in order to meet California’s demand. “There’s a million acres of almond trees here in California now. Most of those acres require two hives per acre. That requires a lot of bee hives. California does not possess enough bee hives to cover that demand, so hives are coming from all across the country,” says Cosyns. 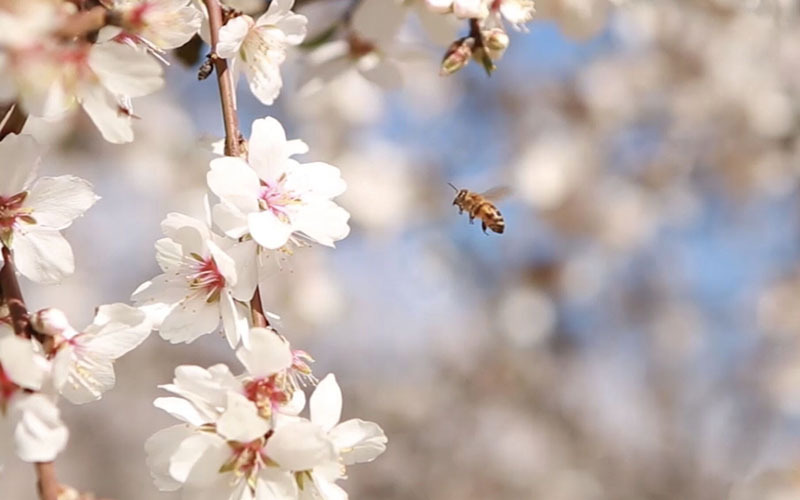 Gonzalez’s bees spend four to six weeks pollinating the almond orchards. “We try to keep them healthy so when they come to this paradise of flowers they take advantage and do what they need to do: which is produce food for us,” says Gonzalez. The hardworking bees not only build their hives, but their pollination plays a key role in our environment. But beekeepers have noticed a rapid decrease in the population of their bees. The Centre for Research on Globalization found that in the past decade, 30 percent of the bee population in the U.S. has vanished and another third of the bee colonies have died. Without bees, some crops would be lost and humans would face widespread famine. According to Bee Informed, between April 2014 and May 2015, Arizona witnessed a 34.5 percent colony loss. The bees only live an average of about 40 days during spring. But their short lives serve a great purpose: to help us survive. “We need to keep growing and producing for our next generation,” says Gonzalez.